Rajesh Bhat and his wife were evaluating various ways of arranging finance to purchase a home in 2012 without a real estate agent. The experience made them realize how complex and time-consuming the process of home buying was. This led to Bhat spending a year identifying gaps in the home mortgage sector and, in 2014, with a seed capital of $200k, he launched a customized mortgage software solution. Located in San Francisco, Roostify is focused on delivering an accelerated and transparent online mortgage experience for consumers. The company aspires to digitize mortgage lending and eliminate paper-based processes. Today, the company partners with dozens of banks, brokerages, and lenders who depend on the company to speed up processing, reduce unnecessary paperwork, and provide a 21st century digital experience to its mortgage borrowers. Roostify aims to provide a transparent, fast, and simplified mortgage process to its customers. Bhat is its CEO and founder. The firm allows borrowers to enjoy a complete digital mortgage experience and emerge as the end-to-end solution for lenders from the lead stage of home buying to closing. The company has raised over $33 million from investors with $25 million coming in its Series B round in February 2018 led by Cota Capital, and secured marquee investors like Santander, JP Morgan Chase, and Point 72. The world is digitizing in every sphere of life. Real estate buyers manage to research and shop online for loans; however, the loan application process (especially for traditional street banks) is still offline. With an average home loan taking 40 days and $8,000 to process, the system is definitely broken. Roostify wants to change the narrative for banks by providing the best possible experience through its proprietary mortgage application software. Roostify exists entirely on the public cloud providing a private label experience through customer access using Amazon Web Services (AWS). Consumers access the bank’s website with access to Roostify’s AWS solution. The company charges banks on a subscription basis. The pricing is structured on the amount of closed loans. There is an initiation fee, and other fees are charged on the basis of the features the banks choose. The Roostify platform is built around a customer-centric approach to effectively manage the customer relationship (CRM) apart from incorporating automation, digitization, and collaboration. Roostify focuses on saving time by obtaining complete information online and facilitating easy decision-making, thereby eliminating the lengthy processes of physical documentation. Consumers (i.e. borrowers) have access to view the loan’s progress through Roostify’s mobile-accessible, online application. The best part about the application experience is that the platform offers a customizable interface to provide unique user experiences. Roostify’s platform handles the workflow, paperwork, activity, signings, etc. to provide a true enterprise solution. It is developing continuously, bringing more and more flexibility in its working while it looks for opportunities to integrate with third-party developers. The Application Programming Interface is built out according to the customer’s requirements. Roostify’s platform, unlike other players that are involved in simple applications, document capture, and other solutions provide an end-to-end customer experience. Some customers have seen a 20% increase in sales funnel volume while others have seen a 40% reduction in closing times. Roostify has successfully established partnerships with a variety of consumer finance, real estate, and mortgage processing systems in order to ensure an improved digital experience for all the stakeholders in the ecosystem. Recently, Roostify integrated with LendingTree, the leading online loan marketplace, to expand the platform together and provide consumers the additional facility of applying online with the right lender. Apart from LendingTree, Roostify has partnered with other lead generators like BOK Financial to ease and diversify the process of loan shopping for consumers. Customers see new leads and new business as a result of Roostify’s integration with its partners to enable true online fulfillment. The company’s client roster includes JP Morgan Chase, Bank of Oklahoma, Georgia Credit Union, and others. It is also looking to expand abroad and diversify from its core mortgage offering to other solutions in the fintech space. 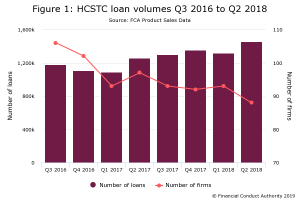 Roostify has achieved healthy volumes of loan originations. In March 2018, its loan transactions topped $5.5 billion. According to Bhat, banks are beginning to figure out how to transact in the online space and rethinking how they acquire customers online. Soon, the entire process will be digital. Also, with data moving online, there is tremendous opportunity for growth in applying machine learning and artificial intelligence to the lending process. Another trend that is shaping fintech is its evolution from B2C focus to B2B specialization. Banks are now comfortable getting technology from fintech startups, and it is a win-win opportunity for all stakeholders. The company dominates this niche, primarily because the competition is low. Instead of focusing on B2C lead generation, the company has taken the smarter route towards creating enterprise technology for existing lenders. Its latest funding round highlights the Silicon Valley pivot towards B2B fintech players whose business models do not involve burning cash on Google Ads to acquire customers. Roostify is taking that business model to mortgage lending.